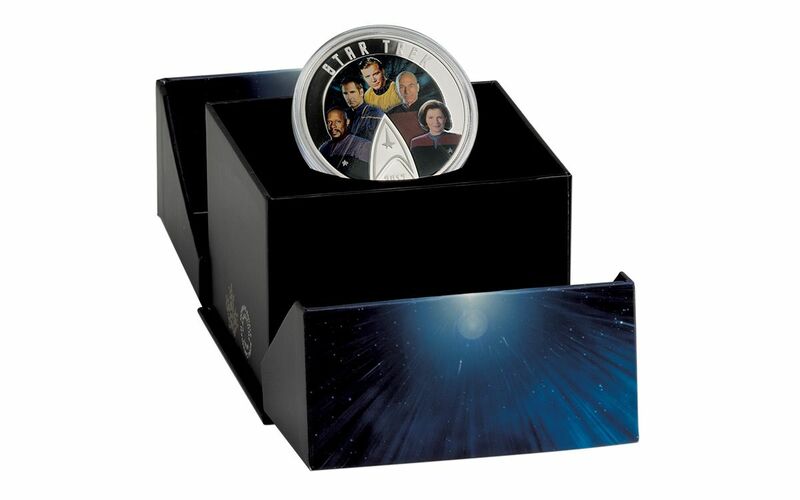 Honoring Star Trek Captains from the Original Series to Enterprise -- in 99.99% Fine Silver! Glow in the Dark Enterprise – What better way to see a star ship in flight and the Delta Shield Insignia? Two Troy Ounce of 99.99% Pure Silver -- A high standard of purity! First Time Appearance – Brining the captains together on a coin for the first time. 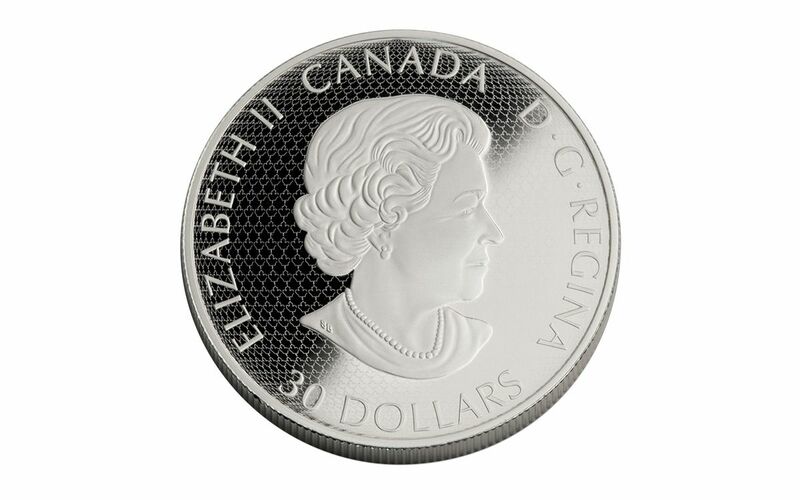 Thirty Dollars Legal Tender for the Nation of Canada - struck at the Royal Canadian Mint, a leading producer of coins in North America. Custom Graphic Box – With the Delta Shield Insignia. 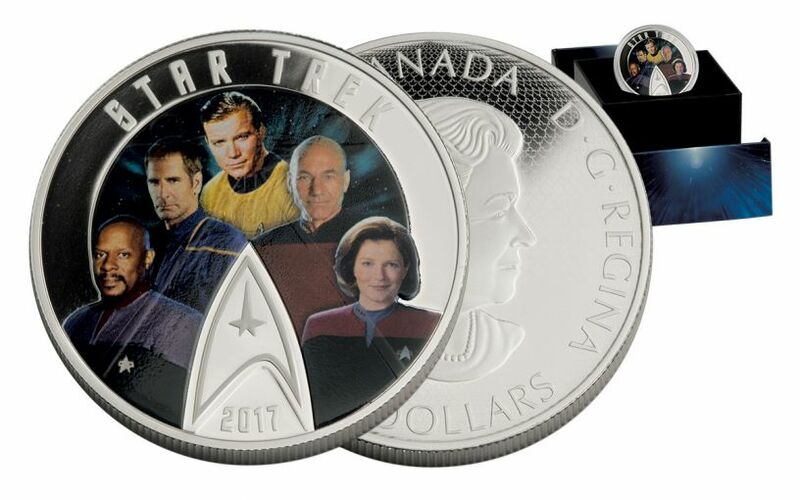 Limited Mintage -- Only 5,000 of these proofs have been issued! From the original series through today, Star Trek has captured the imaginations of professional and amateur astronomers, science fiction fans, and idealists. The unique plot and characters often represent the very best of what humanity has to offer, and it brings that to the viewer with a fascinating plot. 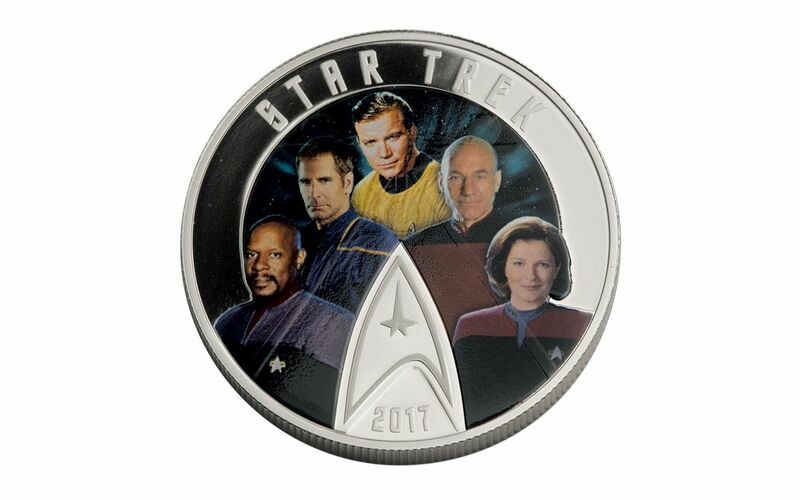 Expanding from a three season Original Series to a franchise that includes movies, additional television series, games, toys, and so much more, few pop culture projects have had even a fraction of the level of success of Star Trek, Star Trek’s loyal fans will continue to enjoy the series for years to come, but they won’t have much time to order this low mintage piece. Get yours from GovMint.com today while you still can!